What Type of Tile Is Best for Kitchen Floors? What Kind of Tile Is Good for a Bathroom Floor? Tile has been the go-to choice for bathroom flooring for decades. Water-resistant, durable and easy to clean, tile is an ideal choice for high-traffic, moisture-prone areas. There are so many hundreds of styles and compositions to choose from, however, that a homeowner might feel overwhelmed when undertaking a bathroom redesign or remodel. Several types of tile are perfectly suited to bathroom use, and a quick overview can help with the decision. Tile floors offer both practicality and beauty in the bathroom. Vinyl tile has been used in bathrooms for decades, but developments in technology have made modern vinyl tile an easy, affordable and water-resistant choice. Priced by the tile, and with self-adhesive backs, these are probably the easiest tiles to lay on bathroom floors. Ceramic tile is also an affordable and durable choice. Made of fired clay and available in a number of colors and designs, ceramic tile is water-resistant and easy to clean. Porcelain tile is one of the best tiles for bathroom floors. Made of clay but pressed and fired at much higher temperatures than ceramic tile, porcelain tile is impervious to water, extremely strong and available in thousands of styles and colors. Glass tile is a newcomer in recent decades but has quickly gained popularity. It is impervious to water and highly mold- and mildew-resistant, and it provides a shine, unlike porcelain or ceramic. 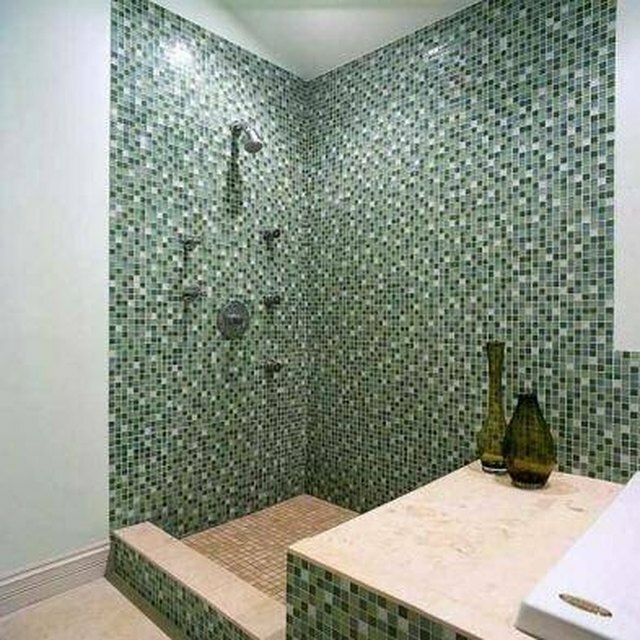 Glass tile is a higher-end choice and may be more expensive, but it can be beautiful in a bathroom. Granite, marble and slate tiles provide an elegant and upscale finish to a bathroom floor. When sealed properly, these tiles are durable and water-resistant, but they are an expensive, high-end and high-maintenance choice.